Ireland has always been a regular destination for Britannia. We can provide a door to door removal service from Chester, Wirral and North Wales to Ireland on a WEEKLY basis, providing a Moving Service and covering all areas both in Southern Ireland and Northern Ireland. Additional Removal Services – Britannia Cestrian can provide a variety of additional removal services when moving to Ireland. We can arrange insurance, storage, and can also take care of your pet transport. On Arrival – Britannia can offer advise and information on a variety of aspects relating to living in Ireland. You can also get helpful advice at www.movetoireland.com. Ireland lies to the northwest of continental Europe, and is bordered by Great Britain, the Atlantic Ocean, the Celtic Sea and the Irish Sea. Ireland is located on the third largest island in Europe, and the island is divided between the Republic of Ireland, and Northern Ireland, which is part of the United Kingdom. A war of independence in the beginning of the 20th century led to the partition of the island, creating the Irish Free State which gained increasing sovereignty over the next decades and Northern Ireland, which remained part of the United Kingdom. Ireland can boast a unique and rich culture which has had an important influence on many other cultures. 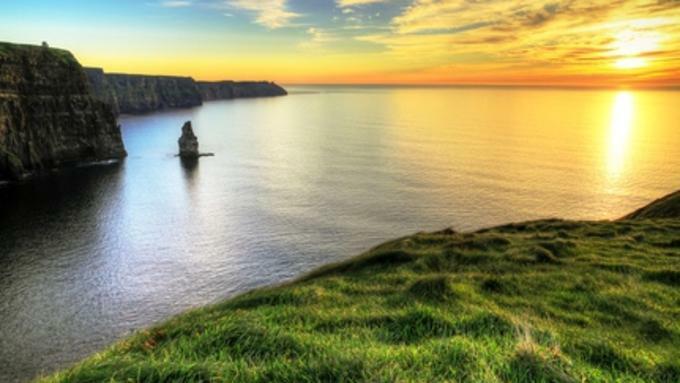 Ireland also has a varied geography and stunning landscapes and is home to two UNESCO World Heritage sites. Starting from the 1990s, the Republic of Ireland experienced unprecedented economic growth, and the country was ranked very high for quality of life and had a large variety of business and employment opportunities to offer.